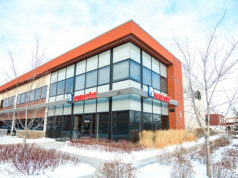 Brenex is a commercial building corporation providing general contracting, design builds, and construction management. 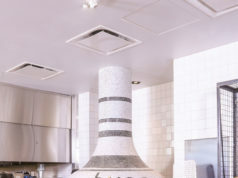 The company has worked on several high-profile eateries in Edmonton, fast food franchises, arenas, industrial facilities, and much more. 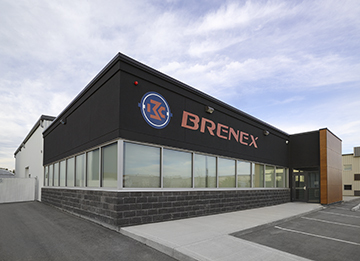 This year marks Brenex’s 35th anniversary, and unlike most family owned and run businesses that start with a clear vision for succession among the children and grandchildren, Brenex’s trajectory is very unique. It all started when Kim answered an ad, which led to being hired at Brenex. He was a natural fit and, by 1990, had bought 50 per cent of the ownership. During this time, Brenex had won a bid to work on a large project in Fort McMurray. Co-owner Rob Roy and Kim needed to scale up on employees. Kim’s dad was a construction worker in Fort McMurray and was one of the people hired. He would continue on with Brenex for the next 25 years. In 2010, Kim became the company’s sole owner. In 2014, his son, Jorden Rolheiser, was making a career move from his role as an advertising executive. Despite not having previous plans to join the business, a closer look revealed that, although the projects and products differed, a role as project manager in the company had the basics he excelled at. There was already an opening in the Brenex office; Jorden applied and was accepted. Today, Kim’s daughter has also joined the company in an administrative role. The family is close, personally and professionally, but there is a clear distinction between work and family life. Each employee, regardless of who they are and where they come from, earns their place, and absolute professionalism is a mandate at all times. This, along with Brenex’s vision and mission, is what enables their decades-long success. “One of the secrets of Brenex is to work closely with our clients and provide personal service,” says Kim. You can’t do that if you are far removed from the operation. If I sit in my office looking down on my employees and people, we can’t provide the service that we do. Brenex maintains a certain size so we can provide direct oversight with the company. That is one of the secrets of our success. One such challenge was when a client needed a 30,000 square foot warehouse on an oddly shaped piece of land. The client chose Brenex because they knew the company would not say no and would figure out the logistics. Kim and Jorden are quick to point out that the company’s success is a team effort. “I love building buildings. I love that,” smiles Kim. “Walking a project through conception to permitting, design to completion, makes me very happy. When it is turned over on time and under budget and the client is thrilled, I know we have done a great job. Brenex wishes to thank its employees, trade partners, clients, and all those that have been instrumental in the company’s 35-year history.